The Notre - Dame Cathedral is on fire in Paris. 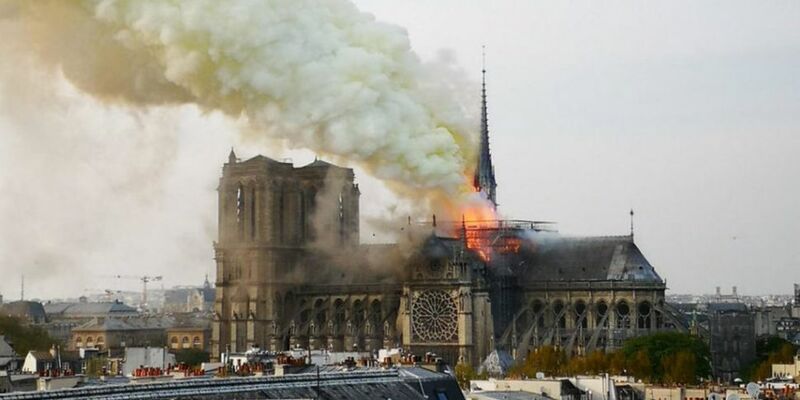 Officials in Paris say that it could be linked to renovation work that is currently underway. The Catholic Church only launched an appeal to help restore the building which had begun to crumble last year. There is currently a major operation is underway to tackle the blaze, which broke out on Monday afternoon, and an area surrounding the building in central Paris has been cleared, officials said.